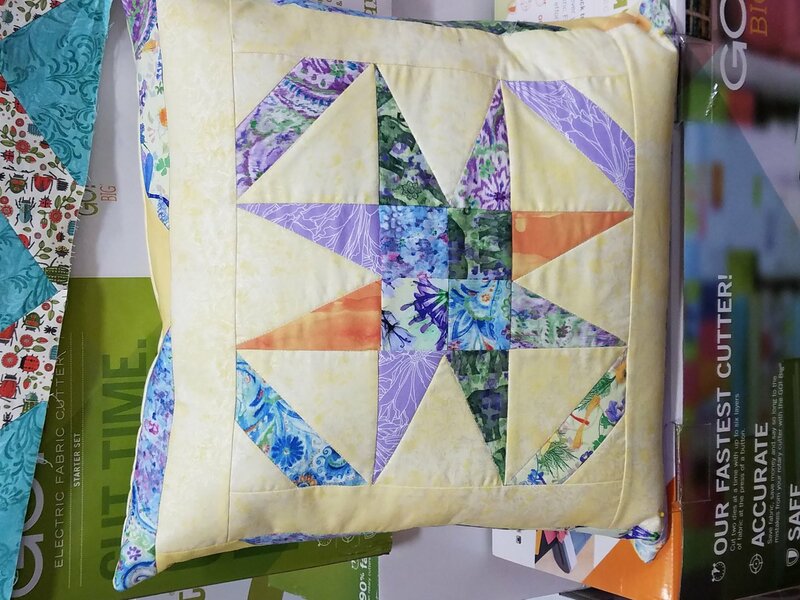 Come make this fun pillow using the Accuquilt cutter, your 8"qube and the companion Angles Qube, to cut it out. We will cut and sew and have some great fun. This will be a two part class. The first day cutting and the second day sewing. This makes an 18" pillow. One yard Background fabric, 8 assorted fat quarters. Thread, Accuquilt cutter, 8" Qube, 8" Angles companion Qube, Sewing machine, 1/4" foot spray starch *Note: you will not need your sewing machine until the 2nd class.